8 new themes and a fresh look! Rob and Alice, the lovely folk at Wired Canvas—a multi-disciplinary, full service design agency in London—have done a smashing job over the past couple of months producing 8 wonderful new themes for our writers to choose from. To check them out click the “Theme” tab after you log in to Writer’s Residence. We think these new themes will show off your writing beautifully. Wired Canvas refreshed our website at the same time and we’re delighted. 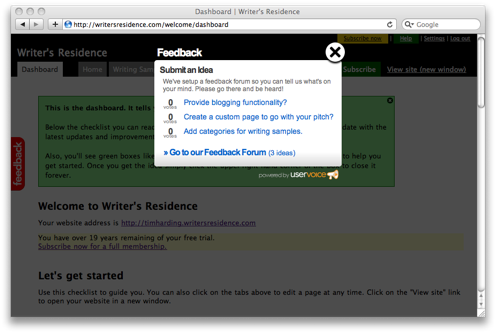 Posted in Housekeeping, Writer's Residence, Writing Portfolios | Comments Off on 8 new themes and a fresh look! Welcome to Camella, the third member of the WR team! We’re delighted to welcome Camella Tierney to the Writer’s Residence team. Camella will be helping us with our customer support. I’ve worked with Camella for the past year on another project and she’s one of those rare people who really gets what it means to look after customers. Posted in Housekeeping, Service Improvements, Writer's Residence | Comments Off on Welcome to Camella, the third member of the WR team! Over the past few hours our servers were intermittently inaccessible. This was due to a distributed denial of service attack launched against our domain name server provider. Though they have 5 different servers in different data centres the vast number of computers involved in the attack made it impossible at times to look up the location of Writer’s Residence. Basically a whole bunch of computers controlled by a bad guy overwhelmed their servers with requests. We’re sorry. We’ve moved to a new domain name service provider which has solved the problem. If you have any questions get in touch support@writersresidence.com. 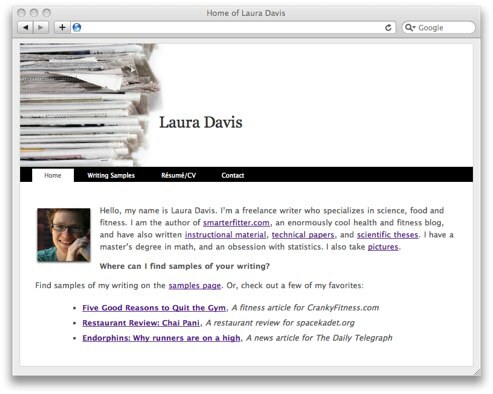 Lots of blogs have sidebars with blog rolls, Twitter feeds or search bars etc. I’ve added a blog sidebar feature for WR that you can get to by clicking on the Blog tab in the management screens and the clicking Blog sidebar in the grey submenu. That is a markdown enabled field that will show up in the right hand side of your blog page. Here are some notes on where to find the search and Twitter widgets to add to your sidebar. This is just a quick note say that Muriwai Technologies (the company that owned Writer’s Residence) has sold it to The Freedom Partnership. What does this mean for you? Nothing, we’re still the same people Tim & Monica behind the scenes, just that your statement from PayPal might now say The Freedom Partnership. This change is just an accounting formalization to make sure that Monica owns the 50% of the business.